Judge Levenson was appointed to the Broward County bench in August 2003. He served as a County Court Judge in the Criminal Division prior to being elevated to the Circuit Court in 2005. He continues to serve in the Circuit Court Criminal Division. Prior to his appointment to the bench, Judge Levenson was an Assistant United States Attorney in the Southern District of Florida. As a prosecutor in the Criminal Division, Economic Crimes Section, in Fort Lauderdale he investigated and prosecuted “white collar” crimes, including securities and corporate fraud, bank fraud, and tax fraud. He also served as a civil litigator, defending the United States in a variety of lawsuits, including employment discrimination cases, medical malpractice matters, personal injury cases (including auto-tort and slip and fall allegations) and constitutional tort claims. Early in his career, Judge Levenson was a trial attorney at the United States Department of Justice, Tax Division, in Washington, D.C. In that position, he investigated and prosecuted complex criminal tax cases in federal district courts throughout the United States. 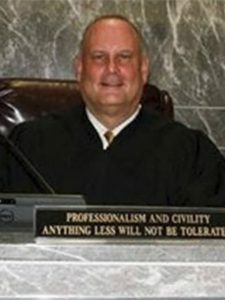 Judge Levenson began his legal career as a prosecutor in Baltimore, Maryland, trying various felonies including drug trafficking, burglary and homicide. Born in Baltimore, Maryland, Judge Levenson received his B.A, with honors from the Johns Hopkins University, and received his J.D. from the University Of Maryland School Of Law. He is a past president of the Federal Bar Association, Broward County Chapter and is a member of the Bench Bar Committee of the Broward County Bar. Actively involved in community, Judge Levenson serves on the board of the Fort Lauderdale Rotary Club, and was previously a board member of the Parkland YMCA, the Minority Development Empowerment, and the Take Stock In Children mentoring program.